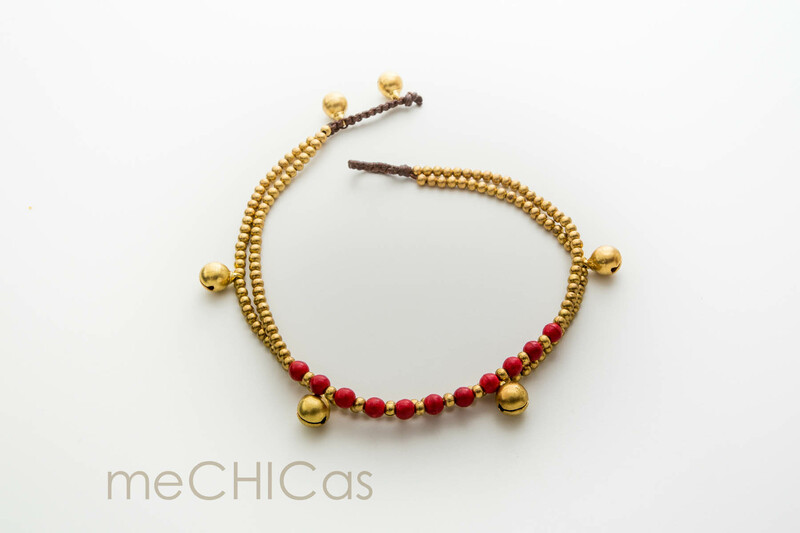 Anklet with 2 strings; one with red howlite stones, one with brass and little bells. 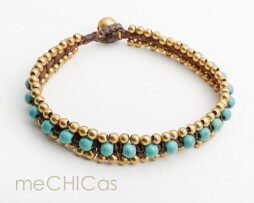 Categories: all anklets, el dorado collection, el dorado • anklet. 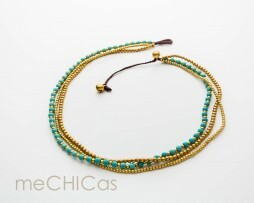 Beautiful triple necklace with beads of brass and turquoise howlite. 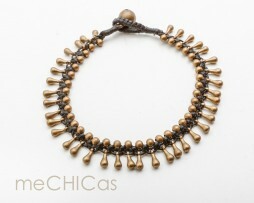 The necklace can be worn in two different lengths. 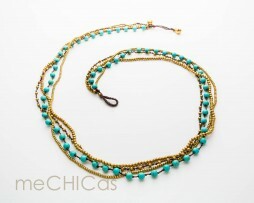 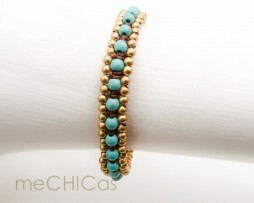 Beautiful long quadruple chains with beads of brass and turquoise howlite. 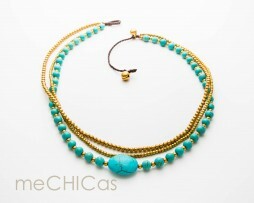 Beautiful triple necklace with beads of brass and turquoise howlite with a larger stone in the middle. 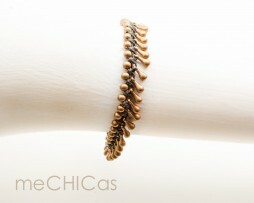 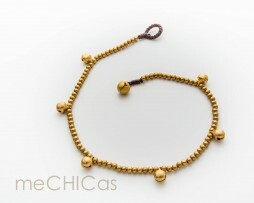 Anklet with brass beads and little bells.